Motivation is a strange concept. 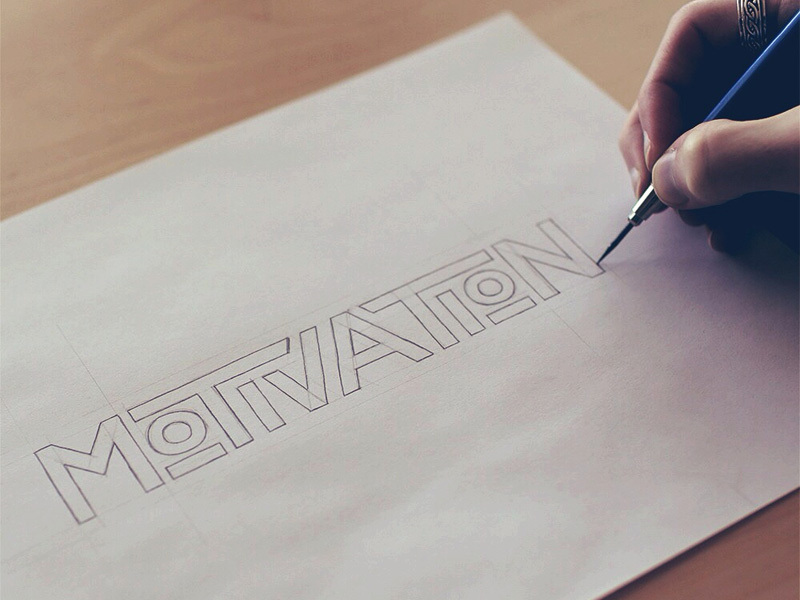 We’re motivated by many things. We’re motivated when we’re excited, when we’re scared, and when we’re determined. It seems like the will to do many things comes naturally but when actively sought, motivation appears to make itself scarce. You would think we could reverse engineer motivation. But motivation isn’t something you can conjure on a whim. You can’t fabricate motivation, you have to foster it. Motivation is more of a result of doing something than it is a source to pull from. It’s a result of habit, routine, and doing. If we look for motivation as a source for the desire to do something, we will be disappointed. We can’t will ourselves into motivation, we have to choose ourselves into motivation. To discover something you’re passionate about, you have to do it. Doing something requires showing up, and showing up requires a choice. If we wait for the motivation to show up, we won’t show up. We can only ever choose to show up. If our goal is to work out at the gym every day, we’ll never just naturally find the motivation to go. It’s only after choosing to show up for the next 5 days that motivation finds us on the 6th day. So we know that choosing to show up is how we get motivation to find us. But how do we stick with the choice to show until the motivation comes to us? It’s easy to let yourself down. We don’t really mind letting ourselves down. We tell ourselves we’ll get up early the next day and we don’t do it all the time. We feel bad about it for a moment and then we move on. For some reason, we typically care more about letting other people down. If we tell someone else we’ll do something, or that we’ll show up, or that we’ll meet them somewhere at a certain time we’re more inclined to do so. At that point, it’s a matter of our reputation being on the line. Our reputation doesn’t take a hit when we’re just dealing with ourselves. This is where accountability comes in. We can’t fabricate motivation, we can only foster it by choosing to show up consistently and have it find us. To show up consistently, we need commitment. Since a commitment to ourselves is easily broken, we can leverage the care we have for our reputation by seeking accountability. Accountability comes in a few flavors. There’s partner accountability, public accountability, and personal accountability. Partner accountability is when you have a gym buddy who’s expecting you to pick them up at 6am to drive to work out together. You’re more motivated because you let your buddy down if you don’t show up. You cause him to wake up early and put in all that effort for nothing. You wouldn’t want that to happen to you and you would look like a jerk if you did it to them. Public accountability is when you make a commitment out in the open to a group of people. Now if you just go to the nearest outdoor mall and shout your commitment to the crowd of random people, that isn’t going to do you much good. The kind of public accountability that works is with people that know, like, and trust you. It’s people that respect you. When you make a public commitment to these people (followers, subscribers, etc. ), you are motivated to keep your word with them as a matter of upholding your reputation. Some people work better with one or the other, but it’s often good to have both. For instance, you can make a public commitment to post a blog post every Monday, but you can also make that same commitment to your accountability partner. Lastly, even if it doesn’t mean a lot to you now, make a commitment to yourself. A three-fold cord is not easily broken. Yes, the brunt of the weight is on the commitment you made to your accountability public and to the public, but by backing it up with a personal commitment you just created an opportunity to uphold a commitment to yourself. You’re slowly teaching yourself that your own word means something to you. Eventually, if you hold your own word in high enough regard, you can be self disciplined enough to commit to something even without any external accountability. You might be wondering how to find an accountability partner. If you’re wondering how to get one, the best way to find an accountability partner is to be an accountability partner. When the two of you are keeping each other accountable (even if it’s for completely different goals), it helps strengthen your bond. You’ll both be excited to share what you’ve accomplished and encouraged by the other who is on track with their goals. If possible, find someone who personifies who you want to be. At the very least, find someone who is also striving to be a better person. It has to be regular. It has to be scheduled. The meeting needs to be structured. You absolutely need to TAKE NOTES. Be friendly, be human, but don’t waste time. Recap last week: how did it go with the thing you said you’d have completed by this meeting? What will you have done by the next time we talk? Write down the commitments you both made. Motivation has to find you showing up. Will you choose to make the commitment?